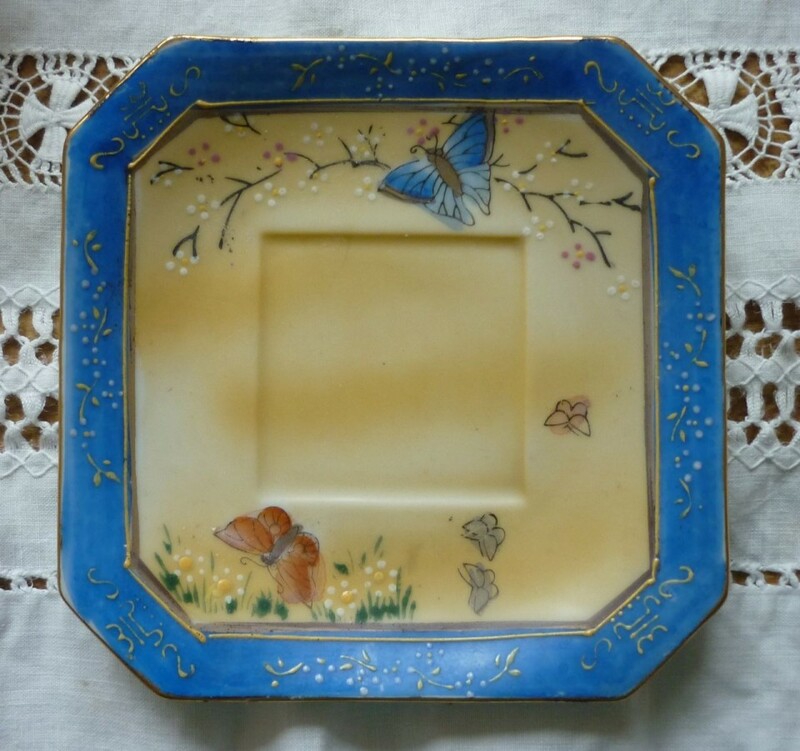 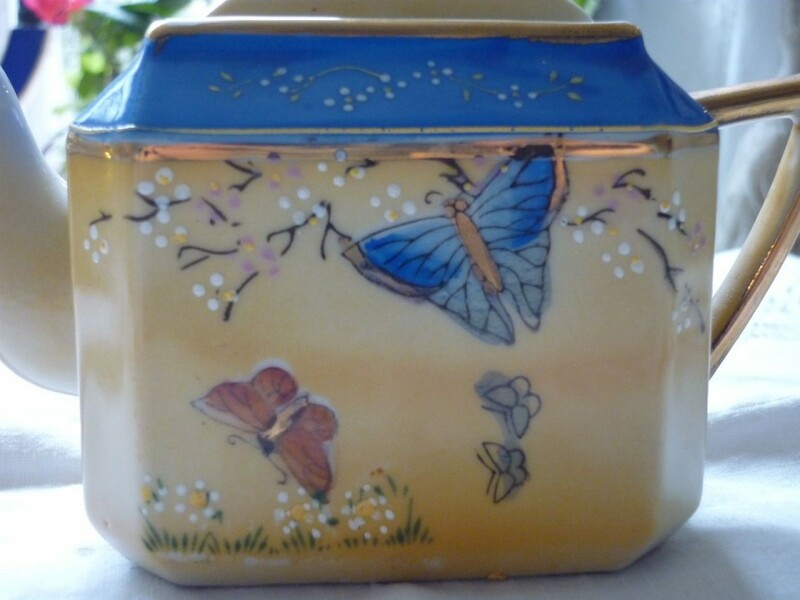 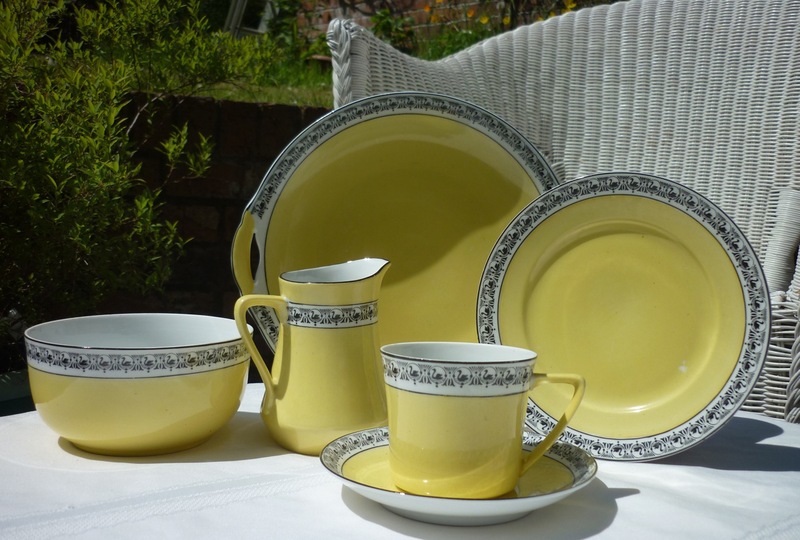 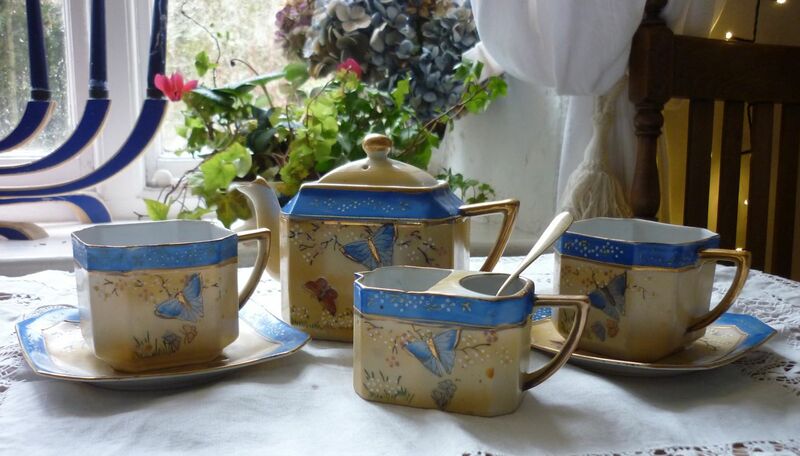 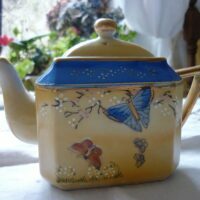 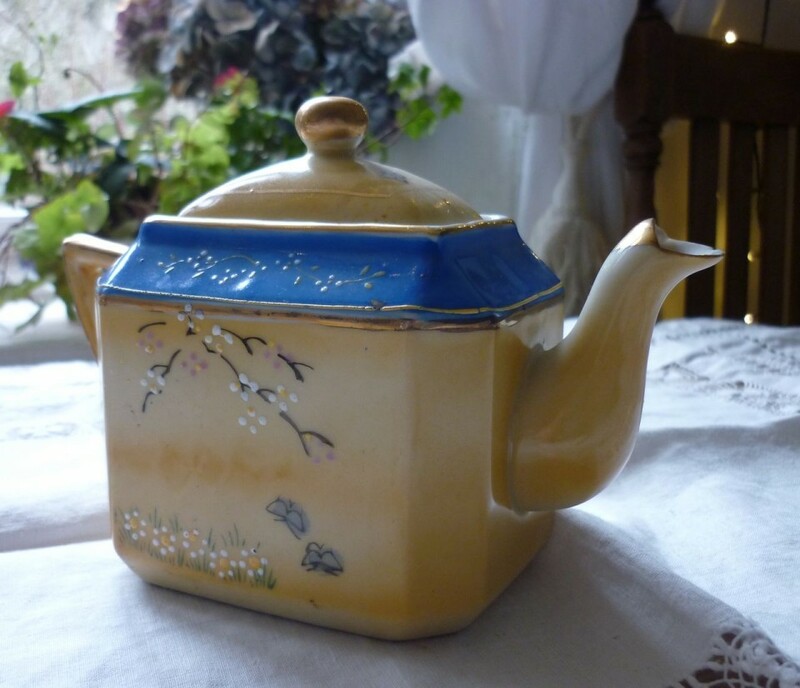 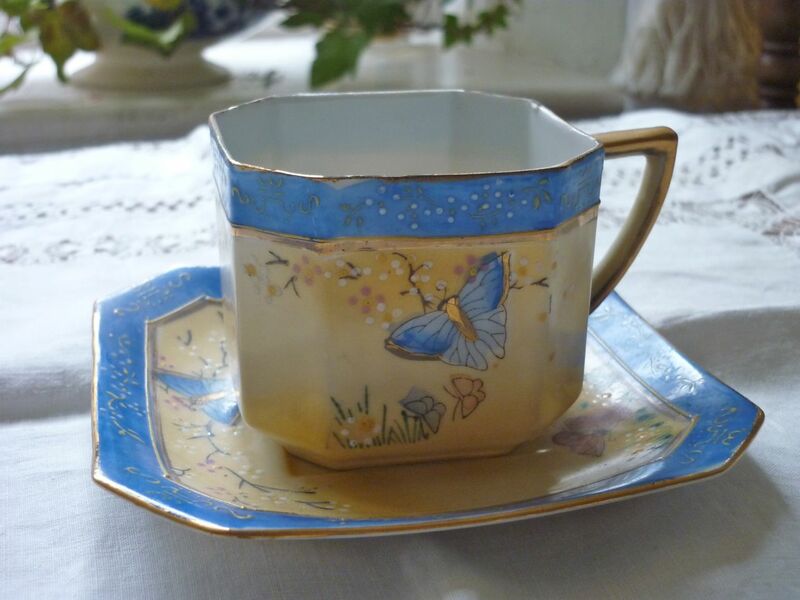 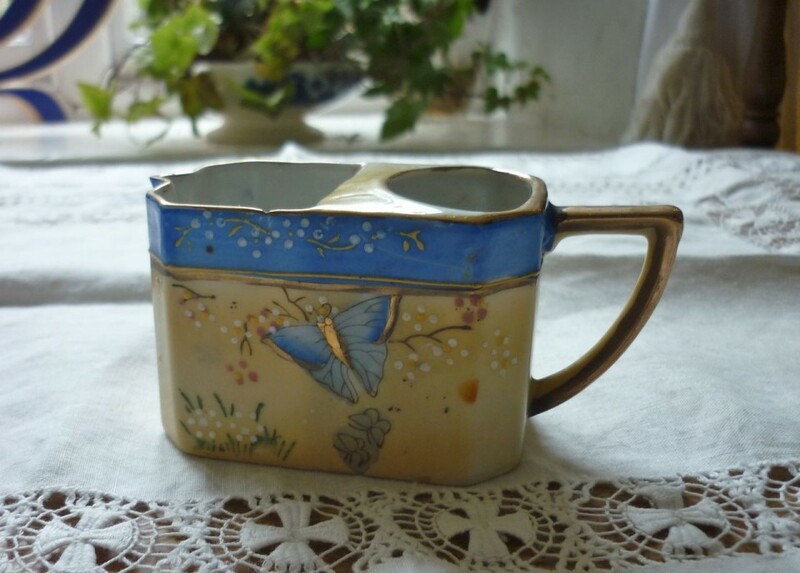 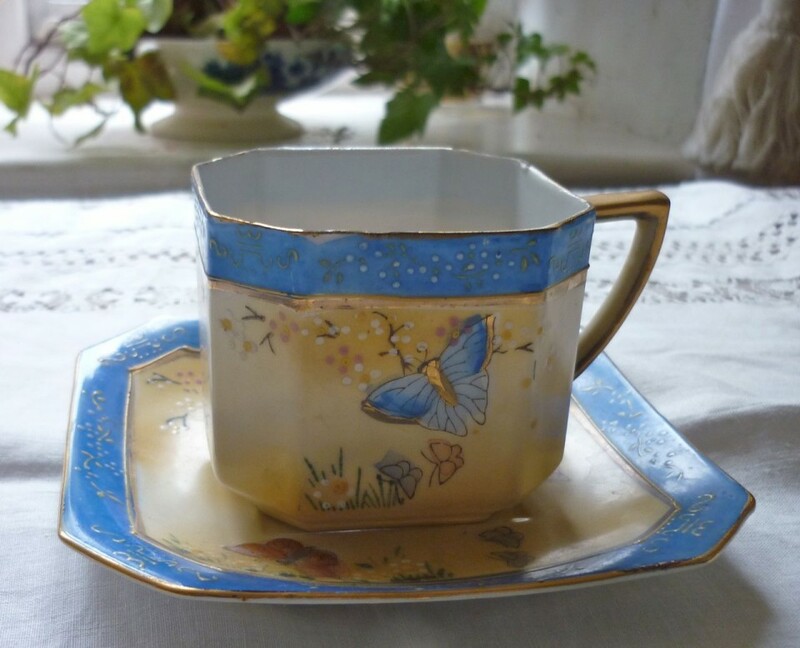 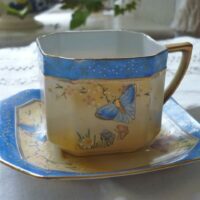 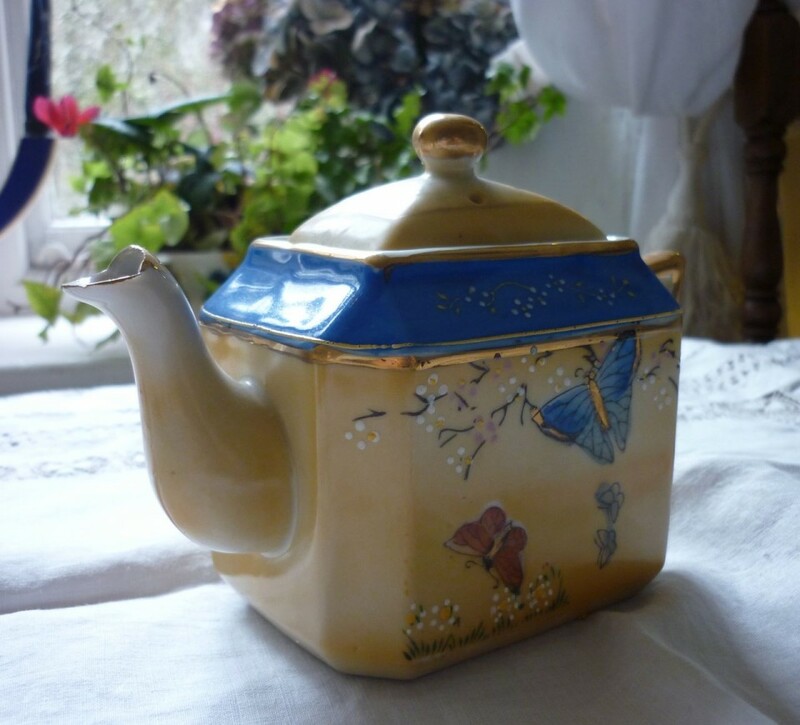 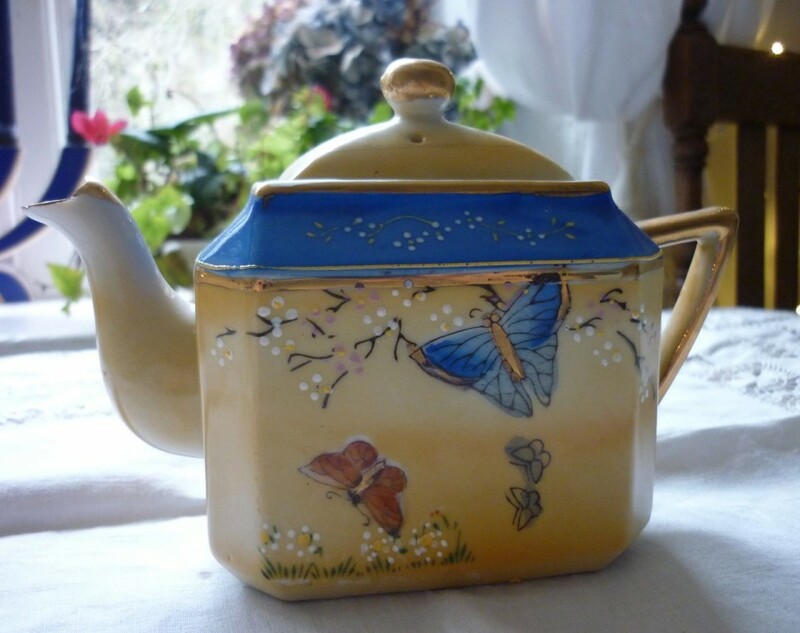 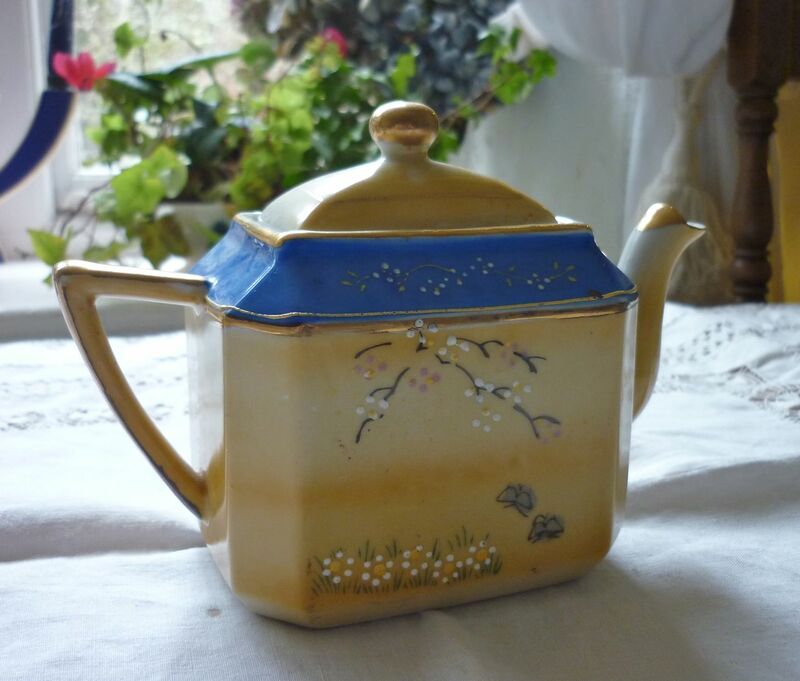 This beautiful, hand painted tea set features sandy yellow and sky blue colours. 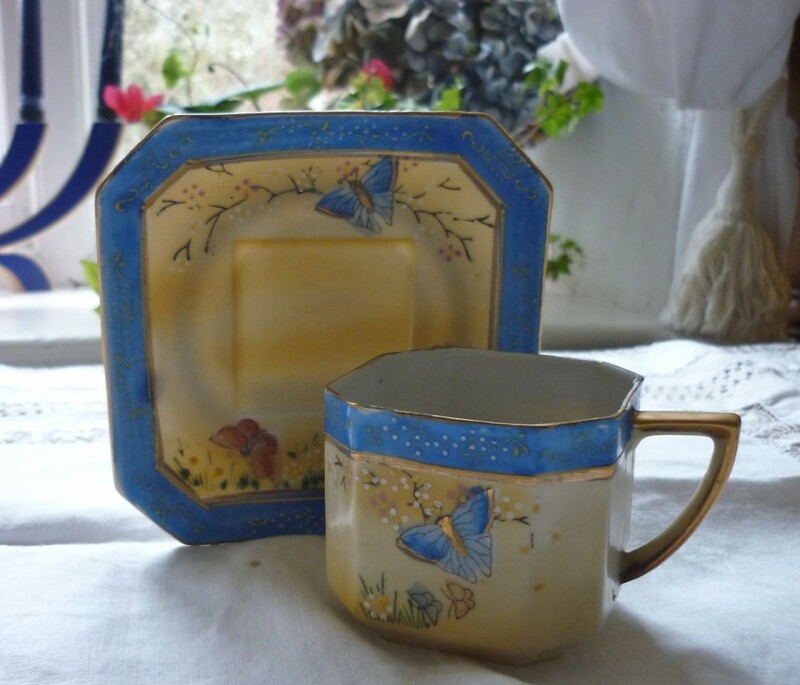 The intricately hand painted butterflies are beautiful and the decorations are so well done that they add an air of depth to the entire presentation. 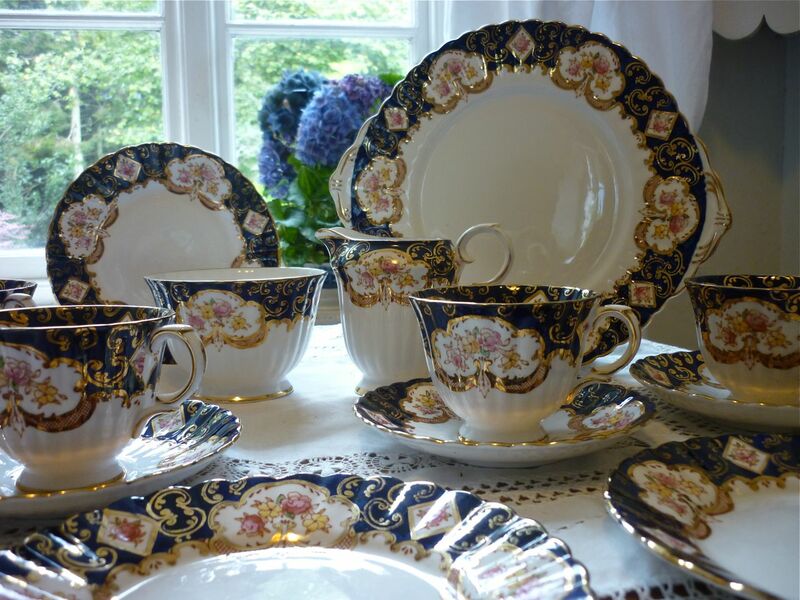 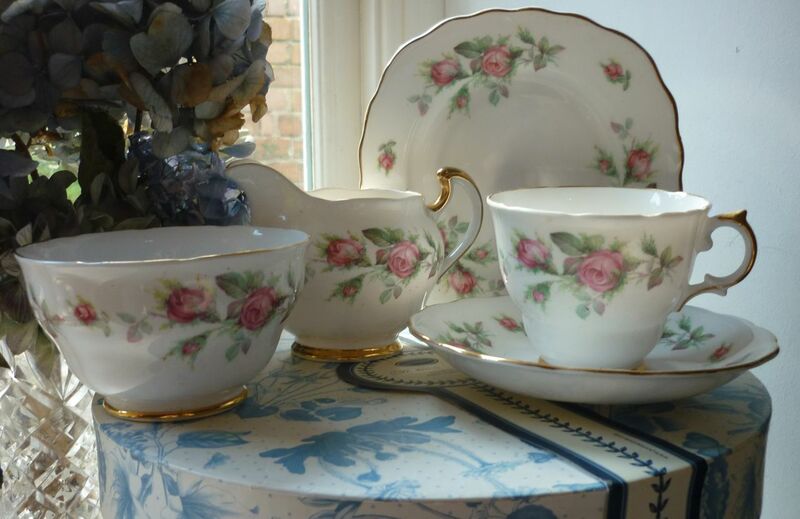 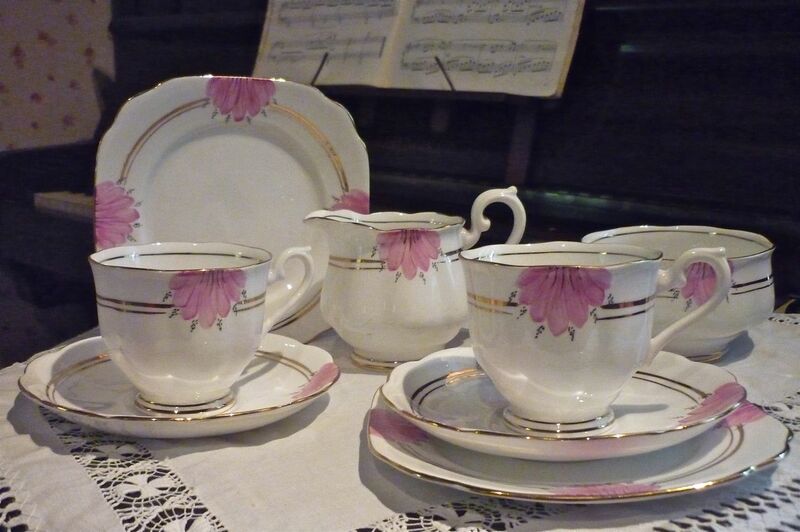 The dainty structure of the pieces add to the butterfly effect on this set; it will go well in a lovely tea room, and will create a memorable affect when serving tea any season. 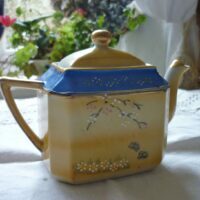 An unusual feature is the milk jug. 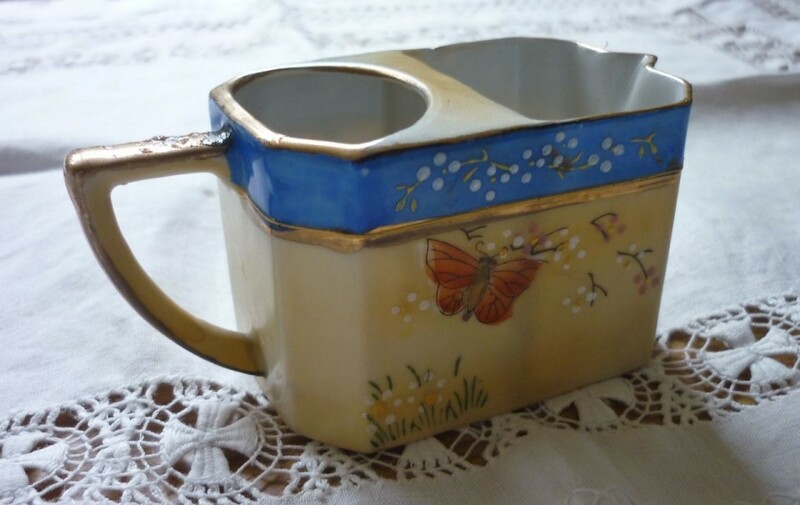 The first half of the milk jug has a sealed off wall separating it from the other section. 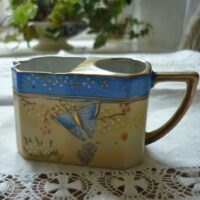 This is for the sugar, while the ‘pouring’ part is for the milk.